A report published in April unveiled the staggering funds needed to update public schools in the United States. It estimated $270 billion are need just to get school buildings back to original conditions and over $500 billion to truly modernize them. That’s more than $5,000 per student! That’s a lot of money, yet based on SchoolDude’s experiences with thousands of education operation professionals across the country, we believe this figure understates the actual amount by almost half. Though it goes without saying that good teachers and curriculum are important to student learning, the factor rarely discussed is the facility in which out students are being taught this curriculum. The departments that support these facilities have a direct impact on student learning. Right now, we and our clients see a perfect storm brewing. 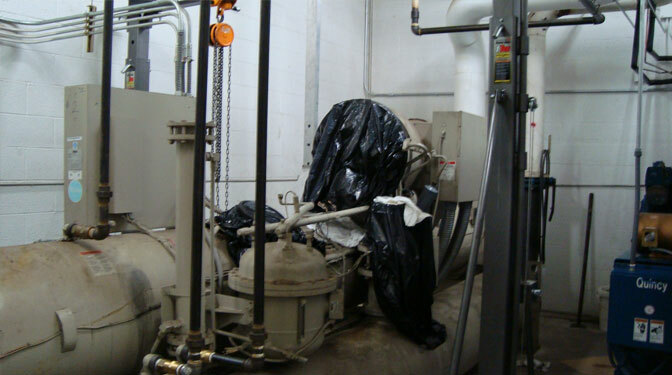 Conditions include years of underfunded capital budgets, deteriorating buildings, and chronic under staffing in maintenance and facilities departments. Educational facilities were built quickly in the 1950s and 1960s to accommodate the baby boom generation. Now, 60 years later, buildings are reaching the end of their life with leaky roofs, poor air ventilation and other issues without available resources and staff to remedy these problems. Eliminate deferred maintenance. A west coast public school estimates an $800 million deferred maintenance backlog according to an article on the state of educational facilities. Delaying needed repairs due to budget constraints may temporarily reduce expenses, but it ultimately costs $4 to remedy every $1 “saved” by deferring maintenance. Tackling deferred maintenance now can save buildings and maintain the capital budget. Reduce disparity in overall building quality. Equalize funding to low-income, moderate-income and high-income districts, thereby equalizing student learning as well. An urban, low-income high school in Los Angeles received tax dollars to overhaul their facilities. The school built new buildings to replace trailers, renovated the auditorium, and made other campus improvements. The school saw a rise in standardized test scores and a drop in vandalism thanks to improved ventilation and new respect for their school’s upkeep and appearance. Establish a plan for preventive maintenance. 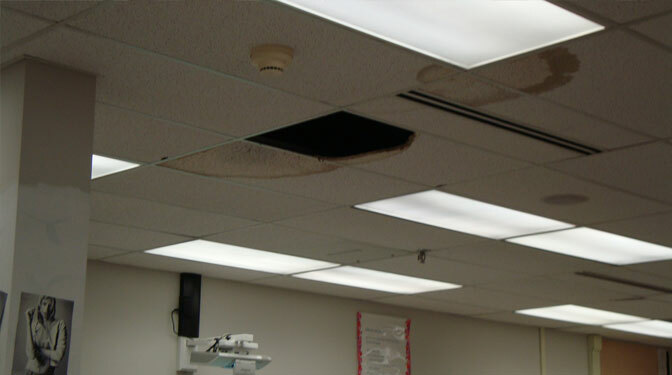 Handling maintenance issues before they become emergencies can ensure we do not see a repeat in the future of the current condition of school facilities. Routine maintenance on HVAC, roofs and boilers can save schools millions by reducing emergency repairs and disruptive breakdowns later. We are in a difficult position with the state of our public schools. As Bill Clinton said, “In a country where public education is meant to serve as the great equalizer for all of its children, we are still struggling to provide equal opportunity when it comes to the upkeep, maintenance and modernization of our schools and classrooms.” There are ways to better maintain our schools to provide the best learning environment possible without tremendous government aid or tripling staff. Find out more about how SchoolDude’s maintenance and facility solutions can help with reactive maintenance, preventive maintenance and deferred maintenance to improve conditions in your facilities and allow your maintenance and operations departments to do more with limited resources.